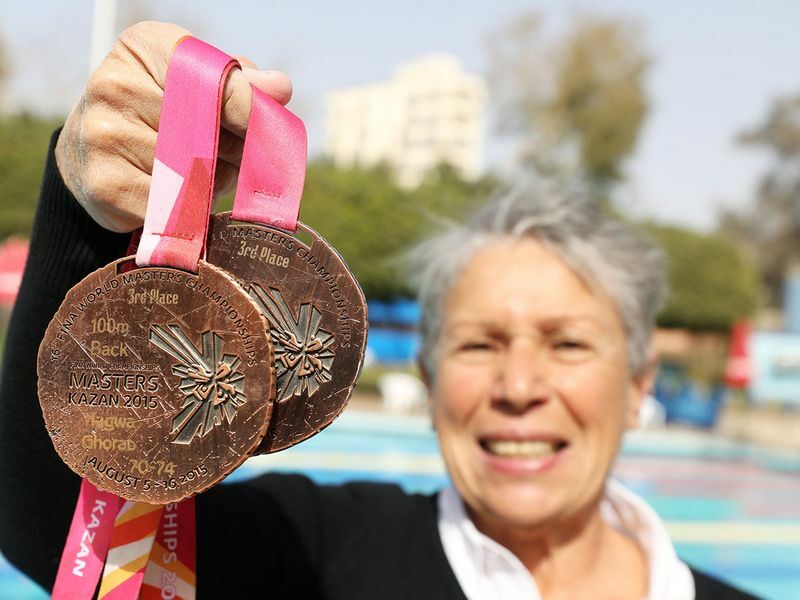 Cairo - If dedication alone was a passport to glory, 76-year-old Egyptian swimmer Nagwa Yousef Ghorab would have won capfuls of medals by now. She first took to the pool at age four and became her country's under-16 backstroke and freestyle champion at 14. She had to stop competing domestically at 18 because Egypt at that time ran no championships for adult swimmers - but she kept on training through the decades. "I am proving to you and to everyone that age is no obstacle if you have the will, and if you have positivity in life," Ghorab told Reuters. "It had been inside me for 60 years, waiting to be released," she said. "...I wanted to excel at an international level. I did not want anyone to beat me. After all, I was competing in the name of my country." Now in training for a championship in South Korea, her coach, Haytham Sabry, says she has the heart of a 20-year-old. "She is determined when it's cold and when it's hot. She still shows up every day to train. There is no championship that she does not wish to participate in," he said.